First published in 1997, this volume responds to the Conservative intention of conducting economic policy along monetarist lines after winning the General Election in May 1979. 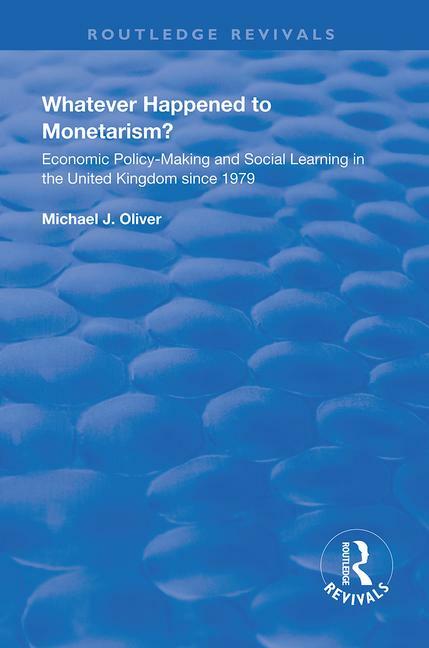 Michael J. Oliver argues that the monetarist strategy was rejected for several reasons during the 1980s, including the recession of the early 1980s, the change in attitude to the role of the exchange rate and disagreements between politicians and policy-makers. It is shown that the disputes between Chancellor Nigel Lawson, Lady Thatcher and her economic adviser, Sir Alan Walters, are central to explaining why macroeconomic policy-making evolved considerably from the mid-1980s. This book is the first attempt by an economic historian to apply a social learning model to the post-1979 period. By adopting an inter-disciplinary approach, Oliver has made both an accessible addition to the debate on the conduct of economic policy since 1979 and a major contribution to the growing interest in social learning amongst social scientists.